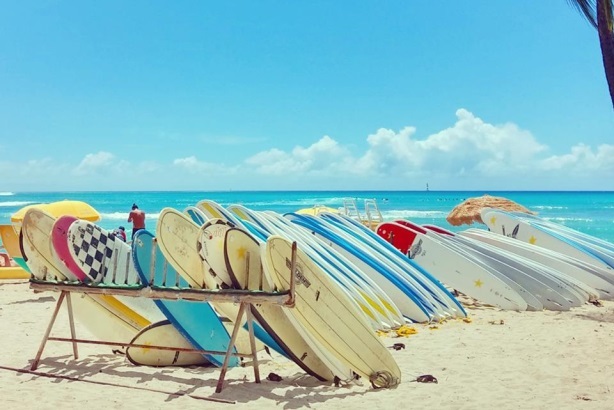 HONOLULU — The Hawaii Visitors & Convention Bureau is looking to engage a digital fan base and promote the state to potential visitors with help from its first social media AOR, Shift Communications. Shift began work in October, following a competitive review, said CEO Todd Defren. The bureau decided to hire a social media agency because of the "realization that a lot of people have a love for Hawaii and yet a lot more people still view it as an exotic destination," Defren explained. "Especially for mainland visitors, understanding that this is a place where they can have all of the safeties of home with all of the beauty of an exotic vacation is something we need to make sure is a consistent message that is getting out all the time," he said. The agency is assisting the organization with an influencer program that will tie into a large brand campaign launching in 2015, said Defren. Shift will collaborate with Hawaii’s PR agency partner, McNeil Wilson Communications, on the initiative. The firm will also engage local and mainland influencers and advocates in the U.S. to "help spread the authentic message of Hawaii," Defren said. Shift has already sent mailers to key influencers on the islands and in the U.S. to solicit their involvement. "We want to show how direct-to-consumer outreach as part of a social media program can have an impact on their business in terms of the number of visitors," he added. Shift is looking at helping Hawaii with "more visual ways of communicating," said Defren, who declined share further information on upcoming efforts. A team of six staffers is working on the account from the agency’s San Francisco office. Budget information on the account was not disclosed. Representatives from the Hawaii Visitors & Convention Bureau were not immediately available for comment.